A statement attributed to the IMU began circulating online on June 10. It included photos of 10 men wearing turbans and holding Kalashnikovs, claiming they were IMU fighters who carried out the attack in Karachi as revenge for "bombardments and night attacks with fighter jets" by Pakistani armed forces in the northwestern Waziristan region. The attack left at least 39 dead, including the 10 militants. After securing the airport, Pakistani security forces claimed the gunmen were ethnic Uzbeks. "The militants appear to be Uzbek," Reuters quoted one official as saying. Afghan media reports say that police in the northern province of Kunduz have detained two Taliban fighters from neighboring Tajikistan. According to Hussaini, the two confessed to being ethnic Uzbeks from Tajikistan who had arrived in Afghanistan from Russia. 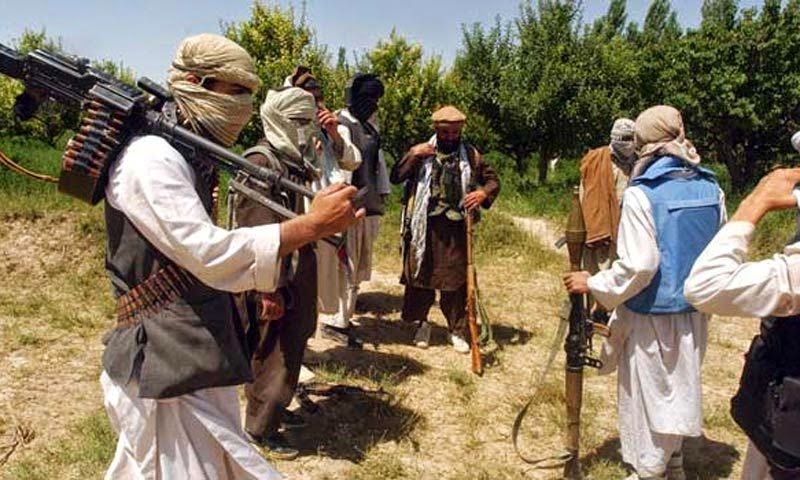 A third Taliban fighter, who had accompanied the two Uzbeks, was from Pakistan. He blew himself up after refusing to surrender. Last week, Tajik authorities said that a Tajik citizen was arrested while trying to illegally cross the Tajik-Afghan border with the intention of joining Taliban fighters in Afghanistan. At least 16 people have been reportedly killed in two separate drone strikes in North Waziristan within the last 24 hours. According to details, at least six people were killed when a predator drone fired two missiles, targeting a vehicle and a compound in Dargah Mandi village in North Waziristan, around 10 kilometres west of the main town of Miramshah in first attack late Wednesday night. Six suspected militants were killed, four of whom were said to be of foreign descent. “Four of them were Uzbeks and two were Punjabi Taliban,” said an intelligence official in Miramshah. What next after Karachi Airport terrorist attack - something big in China? Now it looks like the morale of militants is very high, but the Pakistan Air force is striking their hideouts, and US drones are following them. 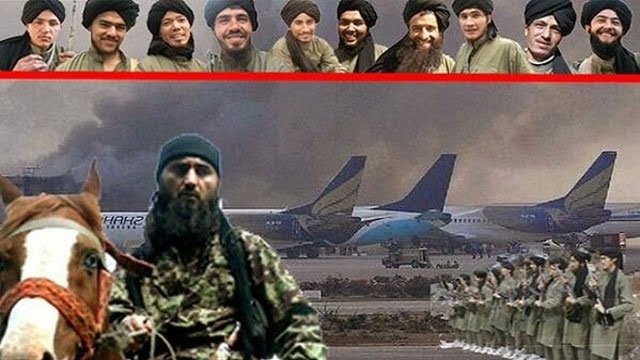 There are fears that they may move out of tribal areas to avoid losses, and then may move to Xinjiang by crossing the Pak-Afghan border or to Tajikistan by crossing through the Nooristan/Kunar route, as Nooristan is under the virtual control of the Chief of TTP, Mullah Fazlullah, who is living in Kunar Afghanistan. There are fears among security analysts that they will try something big if they reach Xinjiang, because IMU is dead set against China for SCO formation that is stopping it from wreaking havoc in the Central Asian Ground - the dream of IMU, which is to establish a Turkman Islamic region covering entire Central Asia and ending at the Indus River in Pakistan. One of the tasks assigned to the Corps was said to be moving residents of China's Han majority to the region to protect the government's ruling status and to balance out the ethnic minority population, in particular the Uyghur ethnic group who have been blamed for the majority of the region's terror attacks in recent times. Over the years, the Corps have assisted in quelling ethnic violence, riots and other incidents in the region, and have plated a role in attacking the proponents of Xinjiang independence. 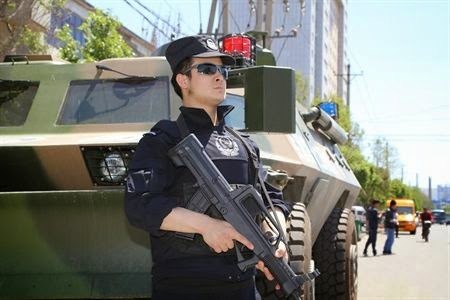 The current nature and tasks of the highly secretive Corps, which has expanded to 2.6 million in membership–or one-seventh of Xinjiang's total population–is unclear, though analysts believe its main mission is still to ensure regional stability and to protect the country's western border while being prepared to support the People's Liberation Army at any time. The Corps has its own separate three-tier education system and has two universities, Shihezi University and Tarim University. It also has its own official daily newspaper, the Bingtuan Daily, as well as TV stations at both the Corps and division levels. It had previously run labor camps in the region until 2013, when the camps were scrapped by law. In 2012, the Corps accounted for more than 10% of Xinjiang's regional GDP. China's top economic planning body will work to implement a variety of support policies in employment, education and poverty reduction for northwest China's Xinjiang Uygur Autonomous Region, it said on Wednesday. In the near term, the National Development and Reform Commission (NDRC) will focus on promoting economic and social development and improving living standards in southern Xinjiang, which has difficult geography and lower living standards, it said in a statement. The agency also vowed to speed up the building of major transport, water conservation and agricultural infrastructure. These actions will be taken to "continuously enhance equality of basic public services and make sure people of all ethnic groups enjoy the fruits of reform and opening up," said the statement. 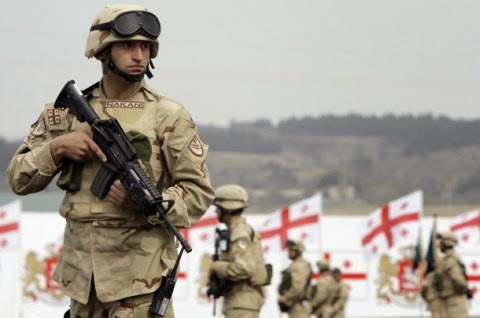 The contingent of Georgian Armed Forces in Afghanistan will be reduced to 700 servicemen after the withdrawal of NATO forces from this country, Secretary of the Council for State Security and Crisis Management, Mindia Dzhanelidze told reporters on June 9. Following the Islamic State of Iraq and al-Shams' (Isis) capture of Mosul, which caused 500,000 Iraqis to flee the city and propelled the group to the richest terror force in the world status, pictures of Omar al-Shishani, an Isis Emir has emerged on social media inspecting stolen US-supplied humvees. The photos of al-Shishani, a Georgian-born ethnic Chechen, suggest that he was the mastermind of the siege as the commander of the northern sector of Isis in Syria and Iraq. After being raised by a Christian father and a Muslim mother in Georgia's Pankisi Gorge, al-Shishani served in the US-funded Georgian army, rising to the rank of sergeant. With a deep hatred for the Kremlin, he played a role in the 2008 Russia-Georgia War, spying on Russian tanks and relaying their positions back to Georgian artillery. A company from the Batumi-based infantry battalion will head this week to join EU military mission in the Central African Republic (EUFOR RCA). About 140 Georgian soldiers will be part of the EU mission which is mandated to secure the capital city of Bangui and create the conditions for the delivery of humanitarian aid. France’s Major General Philippe Pontiès is the mission commander. EUFOR RCA forces will be concentrated on Bangui airport and capital’s two districts.